Once thought of as a rite of passage of sorts, many people still picture a teenager with a mouth full of metal when they think about braces. But that notion is now outdated. Orthodontic treatment is relevant for people of all ages — from young children to older adults, and, of course, teens as well (although alternatives to metal braces exist). However, getting braces at 7, 17 or 70 will yield somewhat different experiences. This is because your dental profile changes throughout the course of your life. Here are some things to expect if you are considering orthodontic treatment for your young child, teenager or yourself. Early orthodontic treatment in children primarily focuses on preventing or minimizing problems later on, specifically as your child gains all of his permanent teeth. Children may begin experiencing orthodontic issues at an early age. 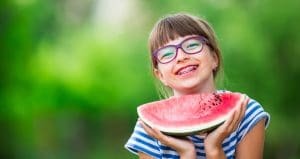 Some of the more common problems in children include crooked teeth, overlapping or overcrowded teeth, and malocclusions (improper alignment of the upper and lower teeth) causing underbites or overbites. Sometimes these problems can be caused by losing baby teeth too soon, bad habits such as thumbsucking, or accidents that result in lost or shifting teeth. And sometimes a crooked smile is just inherited, with no particular catalyst. Correcting bite problems such as an open bite, crossbite or deep bite (severe overbite). Orthodontists usually practice preventative treatment with children between the ages of 2 and 6. At this stage, the orthodontist is concerned with the development of your child’s dental arches, any premature loss of primary teeth, and habits that could cause future dental problems. If problems are noticed during this age range, oftentimes the orthodontist can perform corrective measures in order to reduce or eliminate the need for orthodontic treatment later in life. Often, your child’s dentist will be the first to notice any budding issues and recommend that you see an orthodontist. Regardless, the American Association of Orthodontists recommends that your child first sees an orthodontist by age 7, or when his permanent teeth begin to grow in. This will not necessarily result in immediate orthodontic treatment but could alert the orthodontist to potential future concerns. Additionally, the orthodontist may suggest removing one or more of your child’s baby teeth to create more space in the mouth for the eruption of permanent teeth. At your child’s first orthodontic visit, his mouth will be thoroughly examined for positioning of teeth, as well as bite and alignment. The orthodontist will ask several questions, such as whether your child has difficulty chewing or swallowing food, or has experienced any problems with the jaw such as shifting or clicking. The orthodontist may take or review X-rays to assess the positioning of your child’s teeth, looking at how the adult teeth have grown in and whether there is appropriate space for the remainder. He also may take a mold, or impression, of the teeth to help determine what kind of treatment plan would be best given the physical structure of your child’s teeth and jaws. What types of braces are best for children? In young children, traditional braces (the metal brackets and wires) are typically the best option. In some cases, it may be appropriate to use clear aligners, but that approach is much more common for teen and adult patients. Ceramic braces that use brackets (clear and less noticeable) also are an option. Children also are more likely to need headgear, which uses a horseshoe-shaped wire that attaches to the back of the teeth to provide force to move the teeth. Although this can be a bit unsightly, the good news is that it is primarily worn at night. Once the braces are on, your child will need to visit the orthodontist every few weeks to monitor progress and receive adjustments. The average time children spend in braces is two years. Though this may seem like a significant time commitment early in life, research shows a number of good reasons for children to undergo orthodontic treatment. Preventing Tooth Decay — Misaligned, overlapping and crooked teeth can cause overcrowding in the mouth, which can make brushing and flossing more difficult. This would be the case for anyone, but children who are just learning about proper brushing and flossing habits will have an especially hard time. Improper brushing and flossing lead to tooth decay. Preventing Multiple Health Problems — Misaligned teeth and incorrect jaw structure can lead to numerous painful conditions such as headaches, earaches, difficulty biting and chewing, speech impairments and jaw inflammation. Improving Self-Esteem and Confidence — You might think of this an issue that affects teenagers and adults, but young children also are impacted by their perceived physical appearance. Your child’s confidence will increase once he is rid of abnormalities in his facial or dental features. The teenage years (defined in orthodontics as roughly ages 12-16) are the most common time frame during which braces are applied. This is because all the permanent teeth should have finished growing in by this point, so misaligned teeth or bites, as well as overcrowding or spacing, can easily be detected. Furthermore, the jaw is continuing to grow and develop, making it the optimal time to guide teeth into their correct permanent positions. Other teens, however, will dread undergoing treatment with braces. They are concerned about their appearance in the present moment and worry about the nuisance that having braces will create. 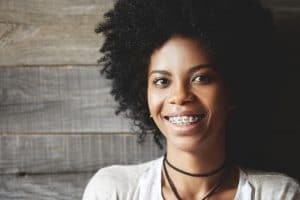 Regardless of your teen’s feelings about wearing braces, the fact is that addressing the need for orthodontic treatment sooner rather than later is always your best bet (although it’s never too late). Treatment is important because crooked or crowded teeth can be more difficult to clean, which may contribute to cavities and gum disease. An improper bite can also cause abnormal wear of tooth surfaces, difficulty in chewing and/or speaking, excess stress on supporting bone and gum tissue, and inflammation in the jaw joint leading to restricted movement of the jaw and chronic pain. Without treatment, problems may become worse over time and increase the intensity, duration, and cost of orthodontic care in later years. Additionally, as mentioned, the teenage jaw bone is continuing to grow and take shape. Optimal orthodontic treatment involves modifying that jaw growth so that the bones and teeth form correctly and in the right spaces. There also is an emotional side to an unattractive smile. As much as your teen might feel embarrassed by braces now, chances are he will feel even more humiliated by crooked teeth as he grows older. When teenagers are not confident about the way they look, self-esteem can suffer. Teenagers with orthodontic problems left untreated may begin hiding their teeth and their smiles. It is important to stress to your teen how common it is to wear braces. Chances are that if they take the time to notice the smiles of all their classmates, they will be surprised by how many fellow braces-wearers surround them each day. Much of the time spent in braces, as well as the outcomes, will depend on how well your teen follows the orthodontist’s instructions about caring for his braces. This includes eating the right foods, diligently following oral hygiene regimens and wearing the braces all the time if they are removable. We know that teens sometimes aren’t the best at following through with instructions, so if you want to see your hard-earned money pay off with a perfect smile for your teenager, you may need to proactively pester him to stay on top of his treatment plan. According to the American Association of Orthodontists, adults are seeking orthodontic treatment in record numbers. In fact, one of every five patients in orthodontic treatment is older than 21. Modern advances in technology have advanced the rate of treatment in orthodontics, as well as allowing the patient less frequent adjustments than in decades past. In addition, so many less conspicuous alternatives now exist to metal brackets, including ceramic braces, self-ligating braces, lingual braces and clear aligners. The average adult will spend 18 months to three years in braces, and, like children and teens, will need to wear a retainer upon conclusion of the adjustment phase. Not every adult in treatment is new to the orthodontic experience. Many of them received incomplete orthodontic care in younger years or did not follow instructions for wearing their retainers (the retention phase being arguably as important as the adjustment phase) and experienced the re-shifting of their teeth. But even if you diligently followed aftercare instructions during braces as a teenager, or had a perfectly straight smile as a youngster, teeth continue moving throughout the course of your life. As you get older, your teeth will naturally move out of place. For some, this change is much more noticeable than for others. Adult orthodontic treatment is similar to treatment in adolescents, but there are some differences. While the jaw bone continues to grow during childhood and adolescent years, in adulthood it has become fixed. Because adults’ jawbones are set, they may need surgery first to align their jaws before they can start wearing braces. Adults also may have some existing breakdown or loss of their teeth and bone that supports the teeth and may require gum and dental treatment in conjunction with orthodontics. More frequent cleanings at the dentist’s office are often required to maintain healthy gums and teeth during orthodontic treatment, as adults’ teeth are more susceptible to the growth and buildup of plaque. Gum or Bone Loss — Adults are more likely to have recessed gums or bone loss because of gingivitis or periodontal disease. Worn or Missing Teeth — As you age, your teeth can become worn down and begin to shift into different positions that can only be fixed through orthodontic treatment. Adults are also more likely to be missing teeth, which can change the position of the teeth around that space, leading to a bad bite or gum disease. Gum Disease — Poor oral hygiene and misalignments of the jaw can affect the health of your gum tissue. If the teeth and gums are not able to be cleaned correctly, plaque will build up, causing gum tissue to swell, which can lead to the growth of particularly harmful bacteria. Gastrointestinal Upset — An improper bite might mean that you are unable to chew your food correctly, possibly leading to stomach aches and pain. At Orthodontic Associates, we specialize in the use of braces for all age categories and have plenty of options for treatment for you, your teenager or younger child. 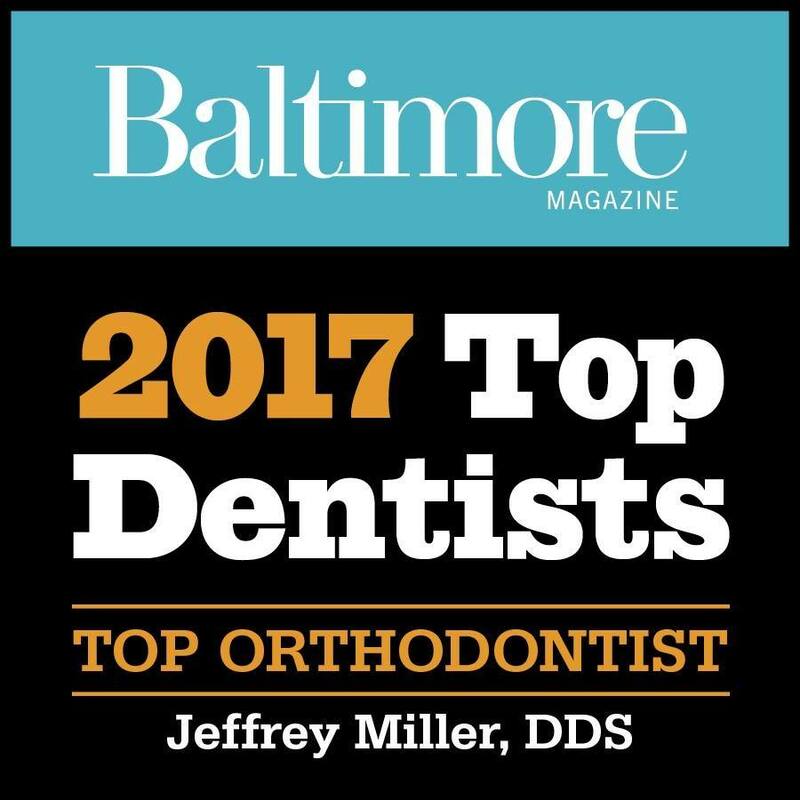 Contact our friendly staff at any one of our eight convenient locations around Baltimore to receive a consultation for a customized treatment plan.